During the early days of the internet, it really felt like every business had its own unique website. Everywhere you went – even if it was to different competitors offering the same basic service – there was a strong sense of identity there, and a sense of who you were dealing with as both an individual and an entity. These days, much of that uniqueness is gone. The success of services like WordPress has left a number of sites looking almost identical in everything apart from logos. Many tell their readers to use WordPress for small business to get ahead! The focus on SEO rankings over actual content means even the written aspects of sites are in danger of becoming homogenized. So in a world where everyone has a website, everyone spends money on search engine rankings, and nobody seems to be able to shout louder than anyone else, we have one question. How are you supposed to stand out? We’ve done the research and the reading, and we’ve compiled some tips that could help you create an online brand that stands above the sea of beige. We’re not trying to reinvent the wheel here – just encouraging you to consider some of the things that appear to have been forgotten as time’s gone by. This should be obvious, but judging by the look and feel of many a market leading website, it really isn’t. Anybody who logs on to your website for the very first time should immediately understand exactly what service you offer. Sometimes, it feels like in the desire to have an attractive image in the header, along with warm, SEO friendly opening text full of big ideas and slogans, people forget to tell their audience why they’re there in the first place. Every image visible on the home page should make it explicitly clear what you do. The purpose of your business should be stated plainly in the first paragraph of text. If you log on to a UK slots site, it’s immediately obvious you’re looking at an online casino. There’s no attempt to hide it, and there’s no confusing it for anything else. That’s the strength of impression you’re looking for. If you sell telephones, people should see a picture of a telephone. If you sell insurance, there should be the logos of prominent insurers there. If you sell mortgages, show the world a picture of a house that’s just been sold. Help your audience. Make the message clear. It’s increasingly common for businesses to feature mini profiles of their senior staff on their websites. That’s a positive thing. Research strongly indicates that people like to know who they’re dealing with, and it’s important to have an “About Us” page that ticks all the right boxes. That might mean changing your understanding of what that page is really for. Just listing your qualifications and industry experience doesn’t meet the mark anymore. That tells people what you’ve done, not who you are. Share a little information about who you are as a person. What kind of music do you like? Which sports teams do you follow? What do you do with your spare time? Also, the world has seen enough headshots of people in business professional dress suits. Everybody does that, which is a great reason for you to break the trend. Share something relaxes, personal, and fun. When it comes down to it, people don’t buy from firms, they buy from other people. Boost your chances of making a personal connection by helping potential customers get to know you. Have you noticed how many YouTube stars have crossed over into the mainstream recently? That’s because video is a great way of helping people to feel comfortable with you. They can see you, and hear you, and pick up on aspects of your personality. Like having a strong bio, this is a crucial element in changing the perception of your business as just another faceless entity in a sea of thousands. You are what makes your company unique. Sell yourself. In addition, nobody likes to sit and read enormous blocks of text. People likely came to your site looking for something specific, and if they can’t find it in the first few moments, they’ll click away and land on one of your competitors instead. A one minute video explaining who you are, what you do, and why you’re great is much more valuable to you than two thousand words of text. We don’t have a precise figure for the number of business who pay big money to get a brand new website set up, and then leave it exactly as it is for the next several years, but it’s a lot. 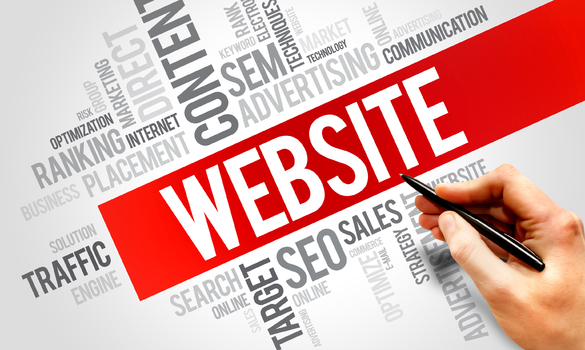 Nothing suggests that a business is stagnant like having a website that’s looked the same since the day it went online. Fresh, new content will engage readers keep people coming back to your site. More than that, it tells them you’re still there. There are thousands of websites out there, still online, belonging to companies who have long since died. A customer landing on your website will want to see evidence that you’re still trading here and now. So have fresh, weekly blog content on topics relevant to your industry. Include a live Twitter feed. If appropriate, have a portfolio online showcasing your latest work and achievements. Post news from within your industry – and why not give your opinion on it, too? Your website should scream “We’re here, we’re fresh, and we’re relevant”. We really can’t stress this enough. Nothing ruins a great first impression on a website like clicking through a few pages and finding wall-to-wall stock photos. In the modern world, everybody knows a stock photo when they see one, and it’s a massive turn off for customers. They just look so phony and staged, and they’re so obviously not representative of your staff, your office or your customers. But do you know what does? Your real staff, your real office, and your real customers! If you have a happy customer, ask them if they’d mind sending in a picture and a testimonial. It will come across much better than a cliched, staged photo of a couple holding hands in the sunset or walking across a field. Your real life office might not look as sophisticated as a stock photo image of a beautiful, spacious New York office block, but guess what? Nobody’s does! Take pictures of your own office, with your own staff hard at work, and people will buy it as authentic. If you take one clear message away from reading this piece – it’s this. Be you. Don’t be a cliched profile. Don’t be a stock photo. Don’t hide being walls of text or synthetic marketing. Be yourself and sell yourself. You are the one thing that your competitors aren’t, and can never be. If your website is plain, old, and full of text and stock photos, it’s time to make a change.